Wow...where do we start? Things have been really hectic with end-of-year fundraising, but we had another great New Years Eve event in Richmond, VA and received tons of generous donations to our holiday drive. Thanks to all of you who donated! While Isabel and I were working state-side on the fundraising, our three Regional Coordinators, Lana, Kyle, and Chris have been doing all sorts of good work in Nicaragua. Lana and Kyle have been tag-teaming our larger base of operations in the areas surrounding the colonial city of Granada. They both bring strong skills to the table, and they both have hit the ground rolling. Lana joined us in December right before the holidays (which as she found out is an incredibly impossible time to get things done, but they're fun nonetheless), and Kyle arrived in Granada a couple of weeks ago. They've been visiting all of our communities and soaking up all there is to know about PHPG's presence there. They've been working with our Nica employees, Manuel, Juan Carlos, and Tatiana, to come up with ways to improve our current systems and provide more services to our clients. They have some great cost-effective ideas about how we can provide more than just capital to our clients, which include business trainings and partnerships with other NGOs. We'll keep you updated about their progress as they continue their good work over the next few months. After observing and training with us for a few weeks in Granada, we sent Chris up to northern Nicaragua to head up a couple of projects there. 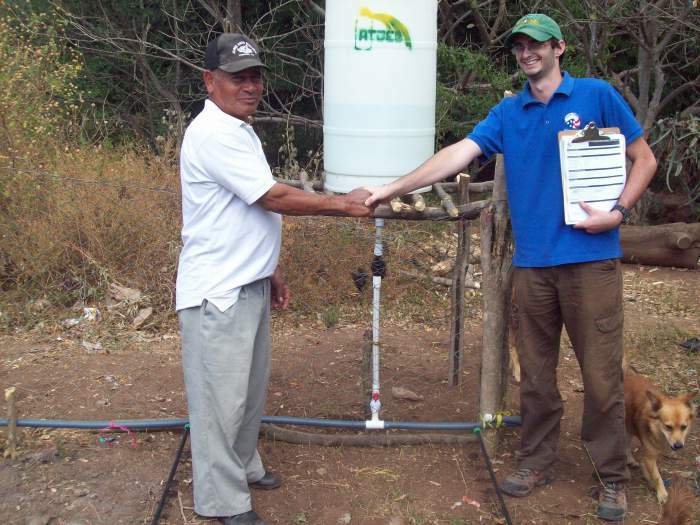 He's been working on tightening our connection with our clients in Piedras Coloradas and spearheading a partnership with a sustainable technologies organization, named EOS International. Things are going quite well in Piedras despite a horrible growing season last fall. Our clients have replanted and maintained good repayments. With the coffee harvest in full swing, things should continue to get better. Chris will be interviewing potential clients over the next month or two in order to expand our services to others in the same region. Our most exciting new project that Chris has been working on is a partnership with EOS International. 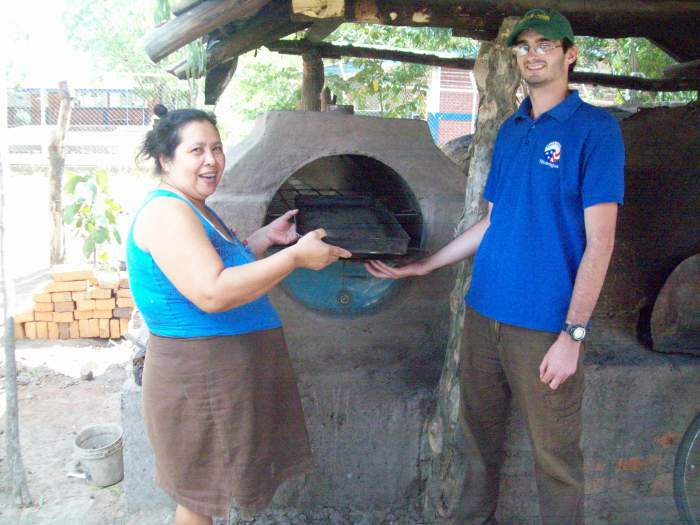 Nine new clients from the town of Soledad de Cruz (in the department of Matagalpa) have had new fuel-efficient ovens or drip irrigation systems installed at their homes. These new technologies are being used to help our clients start or expand small businesses. The way it works is that the clients receive the technologies upfront, along with some start-up capital (ranging from $50 to $65, depending on the technology). EOS is responsible for creating and installing the technology as well as following up with the clients to make sure it's fulfilling their needs. We are responsible for facilitating the lending and collection process. The technologies have been installed and the first month of collections went quite well. All-in-all, things are going incredibly well right now. I can't wait to update you on the new projects that we're working on!